Hazardous energetic organo-nitro compounds are found as contaminants in many environments. A series of nitro aromatics, nitrate esters and nitro amines, all characteristic of this class, has been studied for their susceptibility to biological transformation. Biotransformation pathways for each of these compounds have been identified and are summarized. Implications for these findings in light of current contamination issues is discussed. The detoxification of organophosphate chemical agents focuses on the investigation of organophosphate degrading enzymes from bacteria. Certain of these enzymes, active both in solution and when immobilized onto a solid surface, are very successful in hydrolyzing and detoxifying various organophosphate chemical agents. 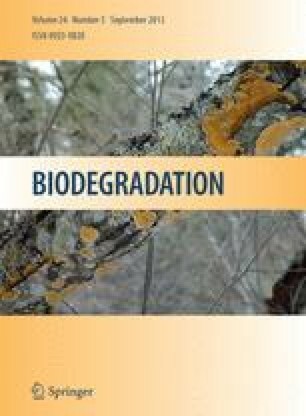 The relationship of this research to the critical concerns of the agricultural industry regarding detoxification of organophosphorous pesticides is discussed.